We always get excited when we see a bit of our own culture in the places we visit. So anything with a little bit of Greek and French influence immediately grabs our attention. You heard right! 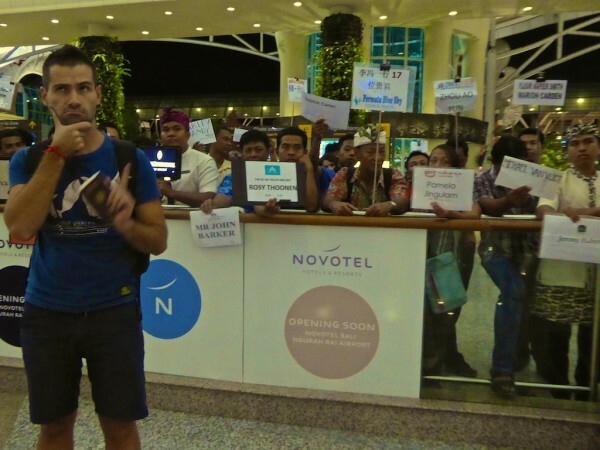 Stefan was quick to point out that the word Indonesia is in fact derived from 2 Greek words: Indo meaning, “India” and ni-sia meaning “islands”. Ok, so Indonesia is not actually the Greek islands of the East. But it was enough to get Stefan excited to discover a piece of Greek influence. Indonesia is made up of no fewer then over 17,500 islands, making it the largest archipelago in the world. And, only around one third of them are occupied and named. Despite all the unoccupied space, Indonesia is the world’s 4th most populous country with a population of over 255 million. Over 140 million reside on Java island (where the capital city Jakarta is), making it the most populous island on the planet. 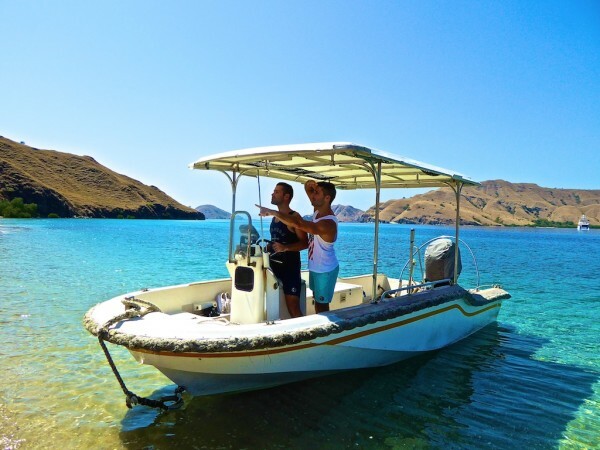 With so many uninhabited islands, the country is a paradise for those who love adventure, discovery and exploring remote places off the beaten path. This one made French Sebastien sit up and take note: Indonesia is the world’s leading exporter of frogs' legs. Each year, over 5,000 tons of frog meat is exported, mostly to France, Belgium and the USA. So when you're next chewing on your cuisses de grenouilles in that Parisian restaurant, you will now know where it was most likely shipped in from. 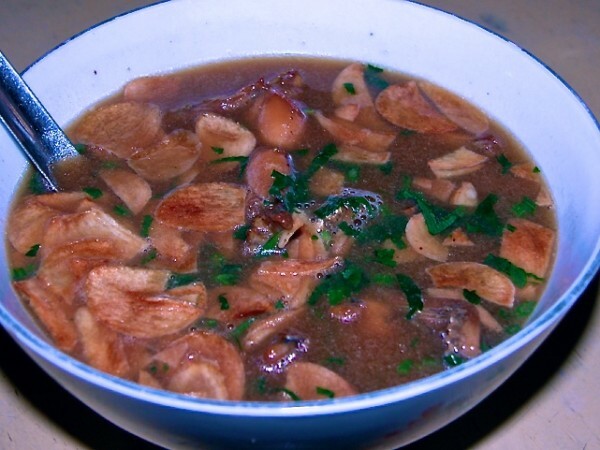 Indonesia also uses frogs' legs in its cuisine to prepare a delicious soup called swikee (containing plenty of garlic, ginger and soya beans). 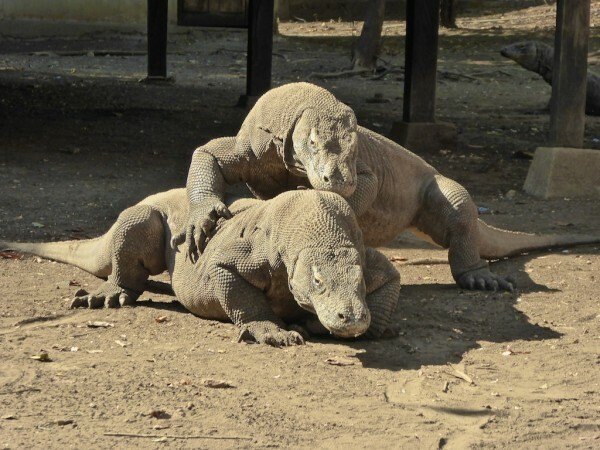 Next on the theme of largest ever are the famous Komodo Dragons: Indonesia is home to the world’s largest living species of lizard, the Komodo monitor. They gained the Dragon nickname because of their dragon-like appearance and aggressive behaviour. Well, they do start out life quite tough. As soon as they're born, they need to run away quickly from their hungry mother and other adult Komodos who will try to eat them! The Dragons are venomous if they bite you, which is what makes them dangerous. 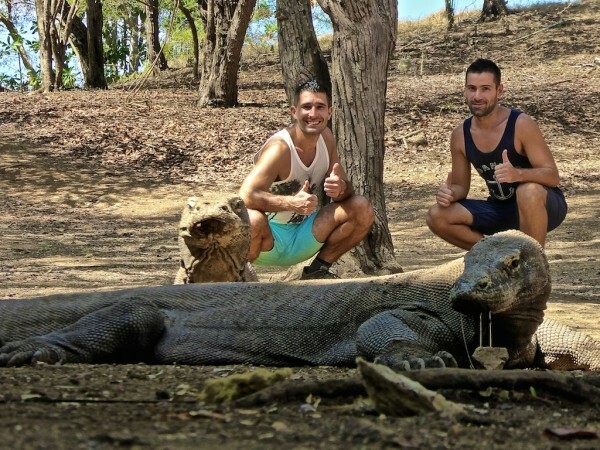 Yet when we met Keith and Kenny in the Komodo National Park, they seemed so docile. This is a deception: they minimise all unnecessary movement to preserve their energy and pounce when the opportunity arises. Indonesia has such a rich cultural history, particularly from its Portuguese and Dutch colonial past, not to mention strong Chinese influences and of course Arabic. One of our most unique culinary encounters in Indonesia was the Royal Rijsttafel meal – an Indonesian tradition dating back to the Dutch colonial era of the 1800s. Rijsttafel is a Dutch word, literally meaning rice table. The Rijsttafel was a way for the colonial Dutch to impress visitors with the exotic flavours of their colony. Indonesia is the world’s 4th largest producer of coffee and each island has its own kopi (coffee) beans, producing its own specialty named after it. Unfortunately, Indonesia is also famous for producing a very unique type of coffee made from the pooh of the very cute cat-like civet. The wild nocturnal and solitary civet cats roam the coffee plantations looking for the optimum, ripest coffee cherries to eat. The coffee cherries are then fermented by the enzymes in the civet's stomach. 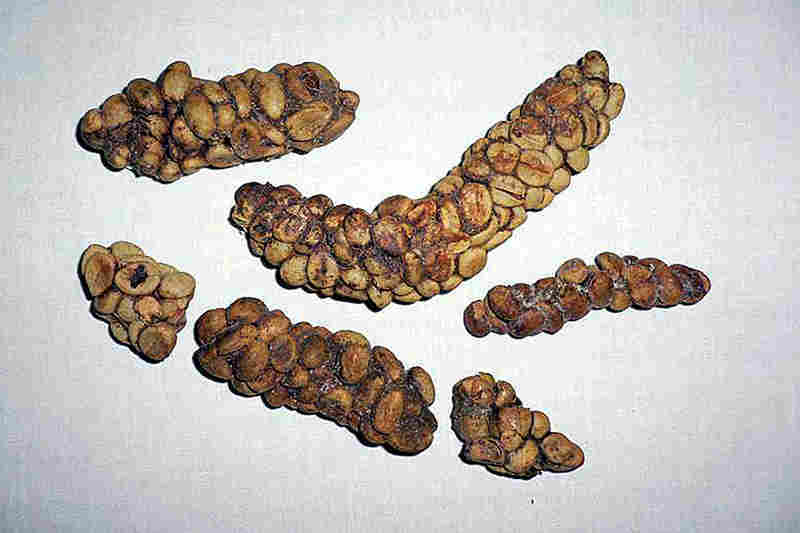 The civet cannot digest the stone of the cherry (which is the actual coffee bean), so it poops it out. The droppings are then collected, thoroughly washed, roasted and made into one of the world's most expensive coffee beans. Unfortunately, the popularity of civet coffee has led to the poor animals being caged. They are force fed coffee beans all day, deprived of exercise, a proper diet, space to move and therefore have a high mortality rate. Coffee connoisseurs argue this is counter productive because genuine good quality civet coffee can only be produced from wild civets. The free animals will identify the best cherries to eat and therefore produce a superior quality coffee. 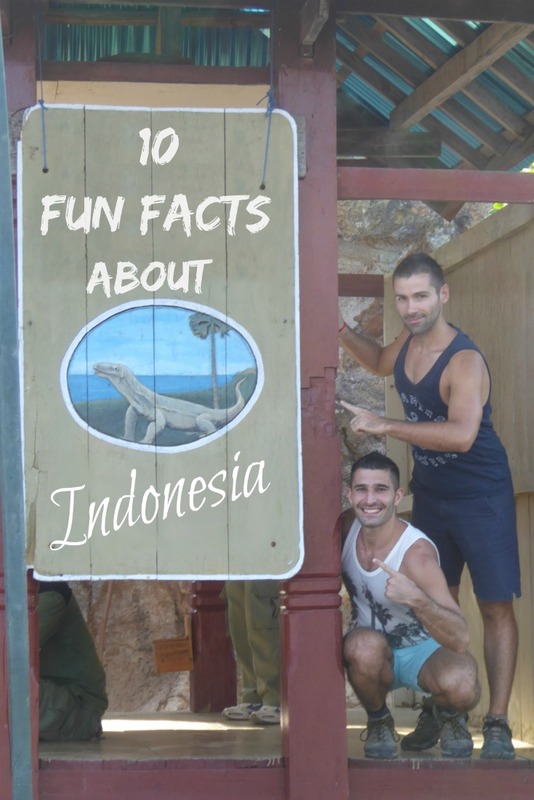 It certainly made us think twice before trying civet coffee and decided to just stick to the local island brews. The wax is first applied as a colour block, to any part of the material which is intended to be untouched by colour. The artist then carefully draws the pattern using the dye. The material is later boiled to remove the wax. The batik from Java island is the most well known and in October 2009, UNESCO designated it as a Masterpiece of Oral and Intangible Heritage of Humanity. Contrary to popular belief, Indonesia is not a Muslim country, despite having the largest Muslim population in the world. It is in fact a secular state and its constitution guarantees freedom of religion. Sounds good on paper right? Unfortunately, the religious freedom ends there. Each Indonesian citizen must pick 1 of the 6 recognised state religions (Islam, Protestantism, Catholicism, Hinduism, Buddhism and Confucianism), to be inserted on their National Identity card. Atheism is not an option and a violation of Indonesian law. Any open atheism in the public domain is seen as a socially unacceptable ideology, can lead to violence, arrest and imprisonment. 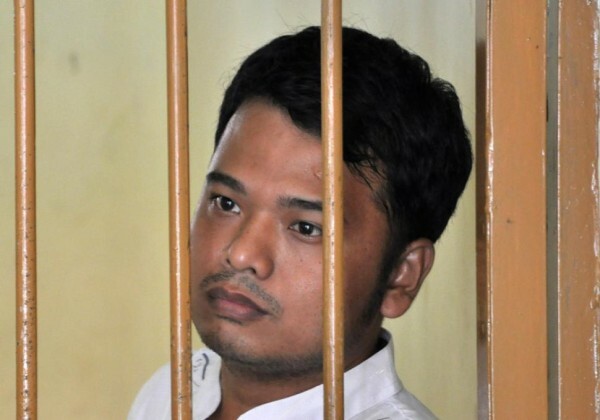 In January 2012, Alexander Ann was arrested and convicted to 2.5 years in prison for inciting religious hatred under the electronic information law. His crime? He posted comments in a (Dutch based) atheist Facebook group arguing why god does not exist! Alexander Ann was arrested and convicted just for putting atheist comments on Facebook! Indonesia is the world’s largest producer of nutmeg, a popular brown spice mainly used for cooking and also as a medicine (in Grenada) and even as a hallucinogen! The Portuguese initially found the spice growing on the Banda Islands of Indonesia in 1512. They enjoyed a nutmeg monopoly until the 1800s when the British fought them and won control of the Banda islands. By this point, the savvy French also managed to sneak some out to the West Indies where they now thrive, particularly in Grenada. Today the nutmeg industry is so big that Indonesia accounts for around 75% of the global nutmeg market. The 5th born would be called Wayan Balik, literally meaning Wayan again. To help differentiate between males and females, an ‘I' is added as a prefix for men and ‘Ni' for females. Balinese children are often allowed to choose a name, which is usually influenced by popular culture or politics and this is added to the name concoction. 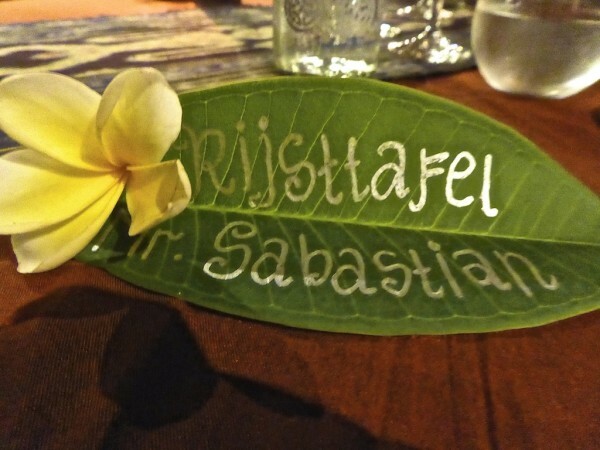 So the first male born could be called I Wayan Stefan or the 4th born female could be called Ni Ketut Sebastiana. So many interesting facts! 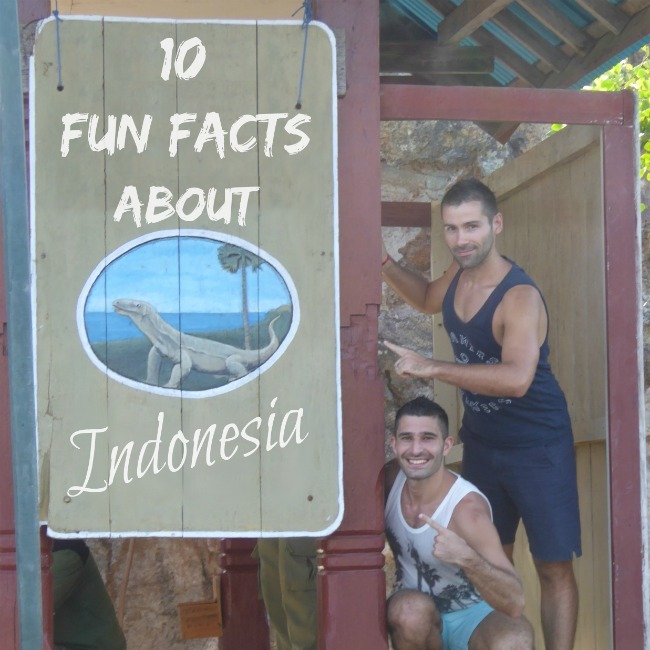 I had no idea how many islands there were in Indonesia, and I didn’t realize it was the 4th most populated country in the world either! That’s crazy especially since only 1/3 of the islands are occupied. I didn’t realize they were the leading exporter of frog’s legs either. I would love to try some Indonesian coffee, but I think I’d pass on the civet coffee 🙂 Thanks for sharing so many cool facts! Poor civets, and stupid people who think that civets who are caged and force fed will produce just as good results. From what you said it sounds like the civets need to choose which coffee beans to eat, not be given beans to eat. Anyway… Great post! Informative & might come in handy should I find myself in Indonesia some day. Oh, wow… Thanks for the intel on the civet coffee. I really considered buying my friends (and myself, let’s be honest) coffee beans from Indonesia for the holidays. Now I’m glad I didn’t. Still, seems you like boys had a great time. Thanks for sharing all those unique tidbits! Fun and clever post, as always with you guys. 😉 I cannot believe you are that close to the Komodo dragons. To see them in the wild like that would be so cool! Learned alot from your post and I have a big desire to see Indonesia one day for myself. 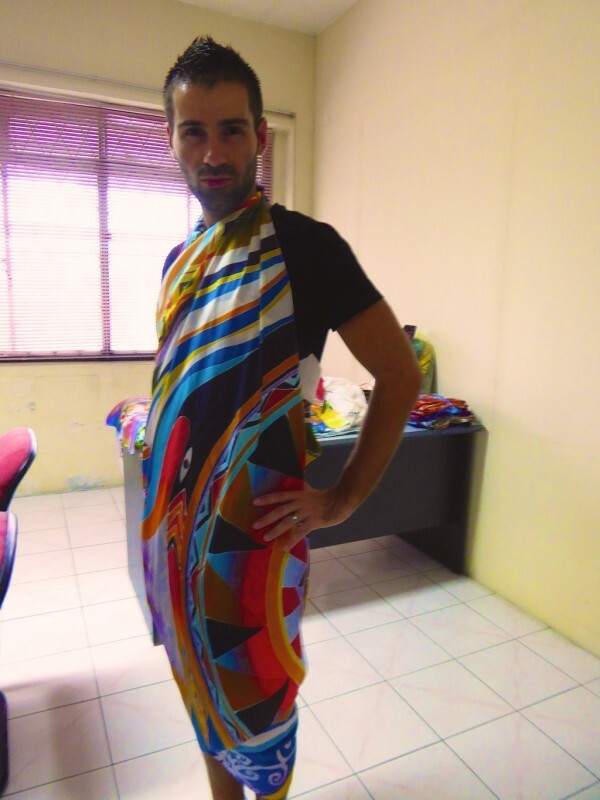 You are hot in the batik sarong! 😉 Frog lets, blech!! Awwww thank you very much Melody ☺️☺️? Haha! Love the nutmeg facts! Your blog is quickly becoming one of my FAVES! Love the sense of humor! I have a friend from Indonesia and really want to visit her soon! Didn’t know a lot of these things, like about their famous coffee. 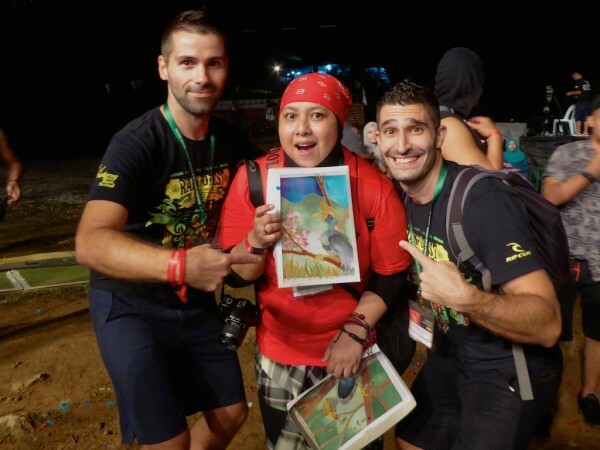 And the lizards look so cool, that’s an awesome photo of you two with the lizards! Thanks Kaylene 🙂 Yes you must go visit – you’ll love it! I love you guys so much and your posts. The religion and coffee views surprised me quite a bit actually! I always thought Indo was predominantly muslim and didn’t realize the seriousness of aethiesm and that they had to declare religion on their national ID cards. Really enjoyed reading this, particularly about the coffee. Classic example of business ruining the key ingredient of the actual product (the animal’s ability to sense ripeness). I’m indonesian and this is totally right ! Lol. And one more thing you guys soooo cute. You two makes me jelouse. ? Bloody brilliant article! Well set out and some great facts! Love info like this! A gem of an article! Kudos lads! well gents, just a quick mail to say have a very happy xmas to you both, all the best and keep on trekking , loving the travel stores…ye must write a book when the travels are finished! I love this area of the world! I lived in Singapore for awhile and I was able to explore Indonesia, Malaysia, etc whenever I wanted. I miss the food terribly! How long are you there for? I wonder why you never joined us in our press trips! We were there October and just last week. I hope you are having fun in Indonesia and I am really thinking of moving there! Cheers! Nutmeg mania made me laugh for some reason, hehe! I do love nutmeg! I also wouldn’t mind giving frog legs another go! So much we didn’t know!! Will DEFINITELY stick to local coffee brews when we go! Also, please be more careful in the future… your nearness to the Komodos nearly gave me a heart attack! Wow! Great post!!! Being one of Australia’s nearest neighbours, I should know a bit more about the country. But you managed to bring quite a lot of new information – civet poo, really??? And rich people pay a lot for it? Wonders will never cease! OMG Yasha you’d love it a lot 🙂 Definitely go explore! Interesting stuff. 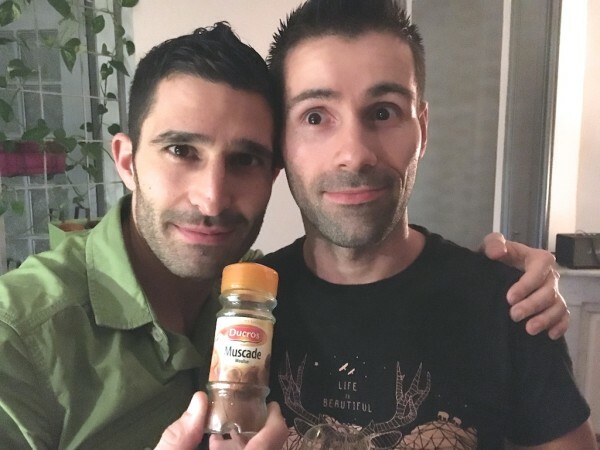 I did not know about nutmeg, though but my husband has tried the poo coffee. Wild about the names. My children prefer givihng short names to my grandkids so they will have an easy time learning how to write their names but these names can be so long! I really didn’t know these – such great facts, from the nutmeg to the names, but especially the frogs legs…..I think the only thing I knew was about the coffee. Clearly I need more Indonesian education! The frogs’ legs thing surprised us a lot too! Interesting fact about names. But I would hate having the same name with practically everyone! Amd those Komodo dragons are huge! Can’t wait to make a trip out there! Thanks Erica. The Komodo dragons were extremely fascinating creatures to watch.